Our newest, most modern “home away from home” two bedroom two bathroom duplexes located in Gull Lake, Saskatchewan comes with 1100 square feet of living space for your enjoyment! All rooms are furnished with furniture in excellent condition. Modern appliances include a Full-size Fridge, Self Clean Stove, Microwave, Washer, Dryer, Built-in Dishwasher and Central Air Conditioning. Our furnished duplexes are located in quiet neighborhoods and are just a short walk to the downtown area. Our Furnished Duplexes can be rented on a daily, weekly or monthly basis. 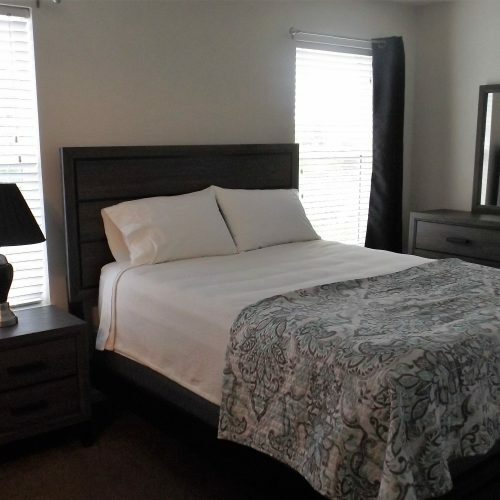 Unlike a hotel room, our Short Term Accommodations give guests the opportunity to stay in a furnished home with plenty of space and rooms to relax. Our Duplex has a fully equipped kitchen and can save you money by allowing you to dine out less. Alternatively, if you are looking for unfurnished property rentals, we have four spacious 800 sq. ft. apartments, located within walking distance of downtown. So if you are looking for a place to stay with that “home away from home” feeling give us call (306)-672-7499 or 306-672-7746.